Fangirls, I’ve been slowly but surely making my way through the Ratchet and Clank games, and about 2 weeks ago when my boy visited we played through the last of the old games (the new one comes out next week!). We played most of All 4 One, and loved (almost) every minute of it. We would have played it sooner, but I have multiple PS3 controllers at my house, he does not. All 4 One is a multiplayer Ratchet and Clank game, and since it’s intended to be played by 2 – 4people, the enemies come at you hard. 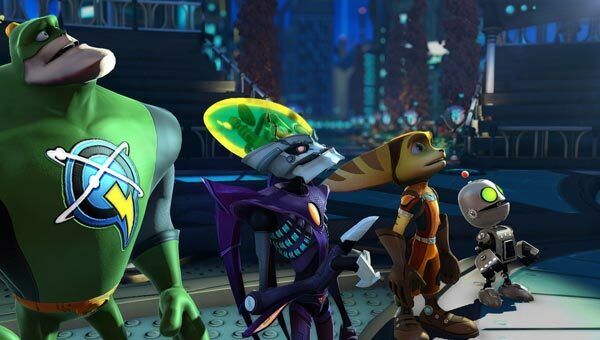 You can be Ratchet, Clank, Qwark, or Nefarious, and it’s really a blast. Much like the other games, you get weapons and upgrades to buy as you go, and they have rad as heck animations to explain them. Its an awesome game; there are tons of monsters attacking, almost al the time. We found that if one character dies, he will regenerate, but if both of you die, you have to go back to the last save. That got a bit frustrating in lava fields and while jumping through plateaus filled with enemies. I really did like the co-op, though. I tend to play single player games because it’s far easier to play alone than it is to get someone to be my player two. Most of my local friends don’t really play video games, and I’m not a big online gamer. I can’t really justify it, because it’s usually games that are far out of my wheelhouse that rely on online gaming options. But this, a local co-op game, was phenomenal. As with other Ratchet and Clank games, I found that this had a wonderful storyline. 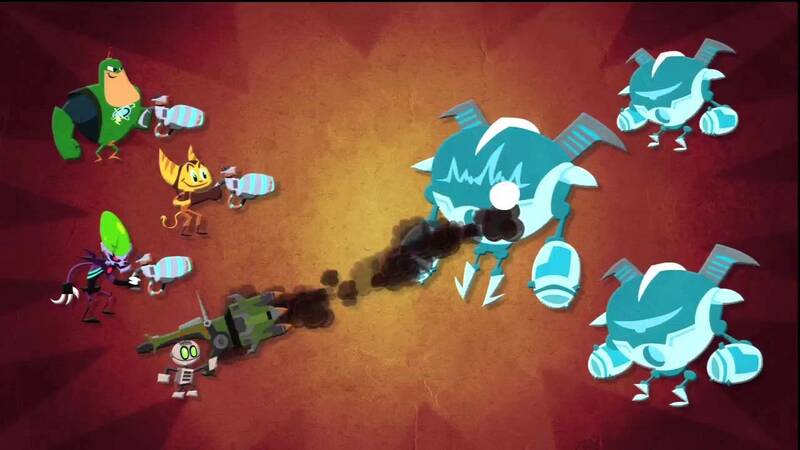 Monsters keep attacking, you have to save people, and you have to work together. That’s the big one. If the two players are not playing together, you will get nowhere. You have to communicate and follow through on things, and you have to have the other player’s back. Altogether, All 4 One is a fantastic game. We had a lot of fun playing it, but we did get frustrated with having to replay areas multiple times (after dying with the next checkpoint in view). It was definitely a great game, and makes me really wish I had a PS4 to play the new game.